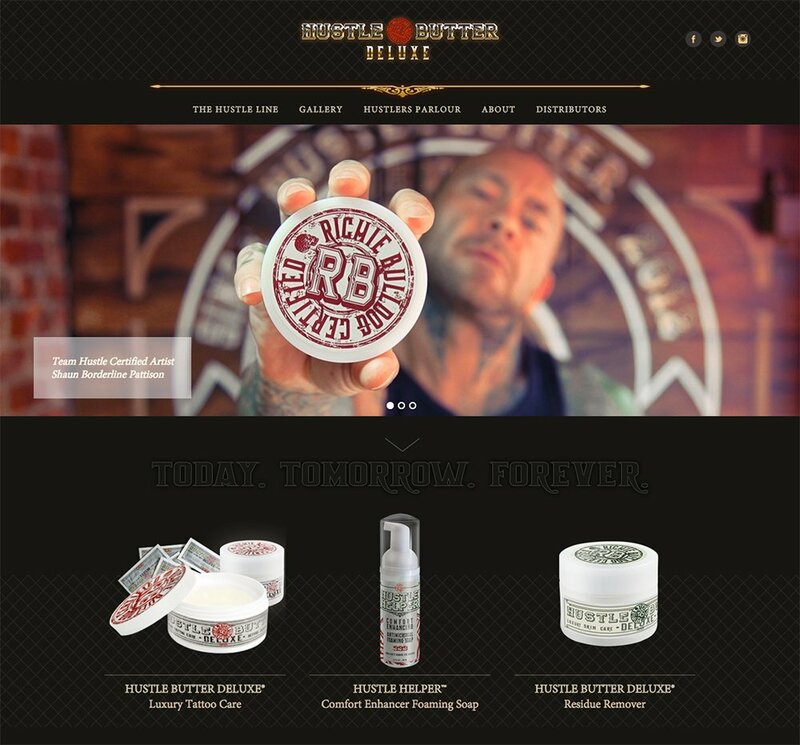 Just a few short years ago, Richie Bulldog, co-founder of Hustle Butter Deluxe, had an extraordinary passion and vision to create a brand that is iconic, true to itself, exceptional. And so he did. We are are happy to have been along for the ride, from the beginning. 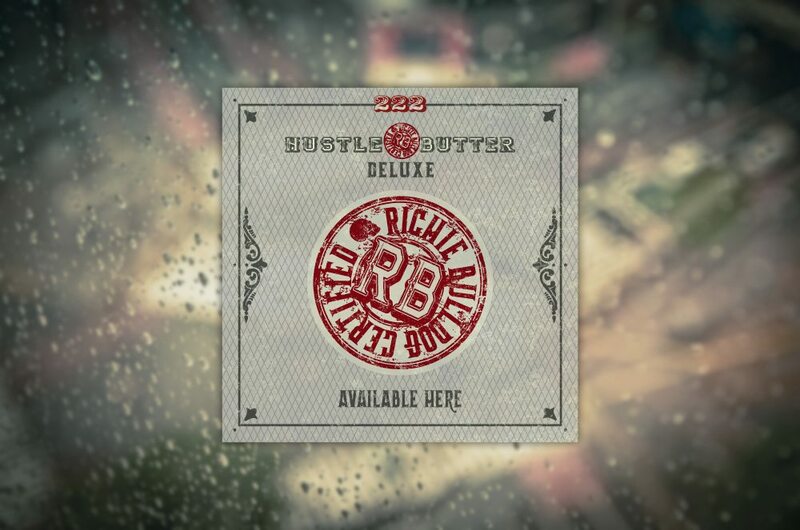 Hustle Butter Deluxe Banners depict the essence of the Richie Bulldog Certified brand: glamour, style, and delightful mix of grunge and elegance, with respect for true quality. 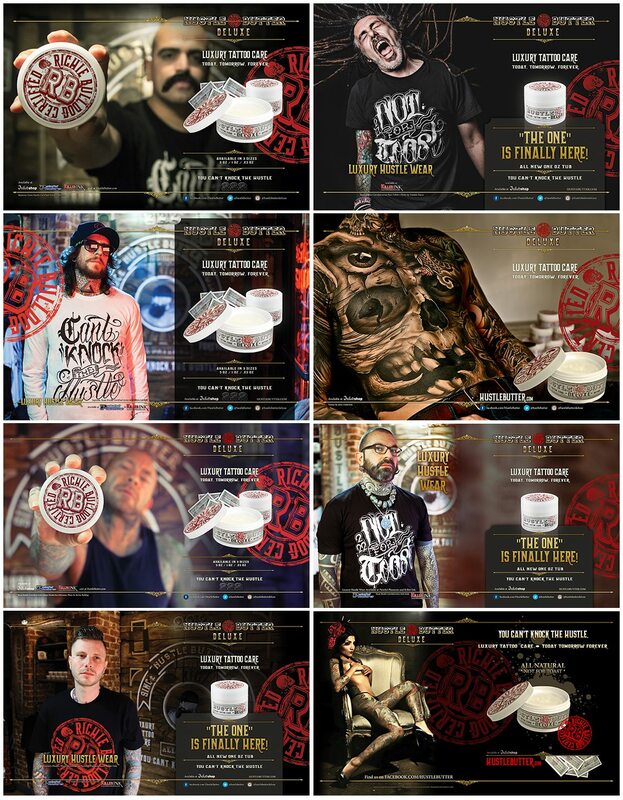 This is a series of magazine ads published over the past two years in Inked Magazine and Freshly Inked Magazine. Vibrant, colorful, visually rich, captivating and enticing – these ads truly represent the essence of the brand. Over and over. 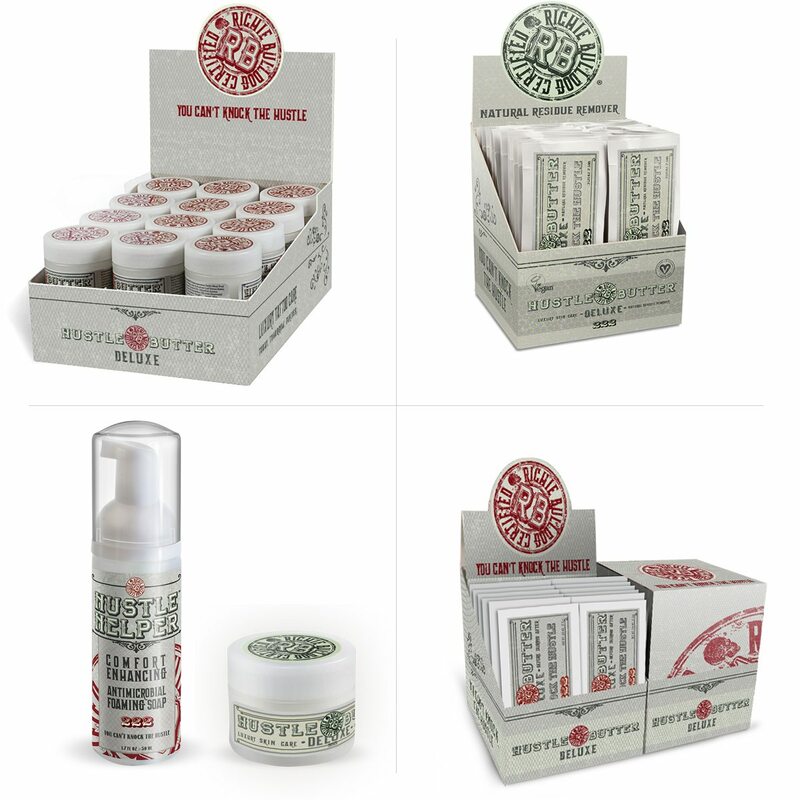 A series of packaging labels and displays we have designed for some of the products in the Hustle Butter brand. The Hustle Butter portfolio is much larger than this page can contain, and it includes a great variety of postcards, flyers, apparel hang tags, banners, backdrops and more.